Foam Swords - Cosplay At Its Best! 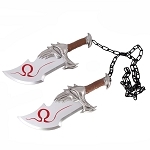 At Knives Deal, we provide ultra durable foam swords that will improve your cosplay experience. 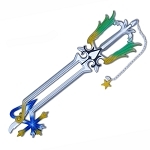 Your next cosplay event would be a memorable one if you step on the stage equipped with one of our foam swords. 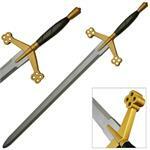 These swords are specifically designed for cosplay and safe training. 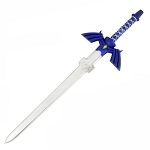 A great assortment of swords await you at Knives Deal. Browse to get one in your arsenal! We all are passionate about things related to fantasy and history. Passionate enough to spend lots and lots on our costumes and accessories just to attend LARP or a cosplay. Nothing can be better than having some fun around with your friends with safe weapons and beautiful costumes of your favorite characters and warriors. 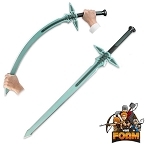 And what could be better than having a stunning sword to complete your costume that looks just like a real sword but in fact is super safe because it is made up of foam? So, get to our finest compilation of foam swords to choose the one you want for your next LARP event. 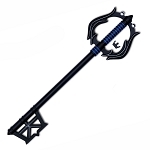 At Knives Deal, we make sure you are well-prepared for your next cosplay event. 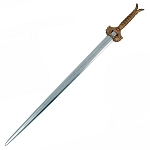 Hence, we bring the swords you have been ideally looking for so that you can fulfill your LARP requirements. 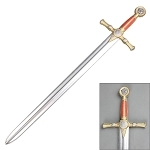 Knives Deal stocks the highest quality yet affordable swords of extensive variety. 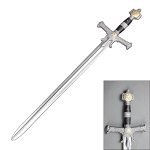 We bring you the Medieval swords, fantasy swords, Claymore sword and movie swords with intricate designs and sizes so you can grab the one which suits you best. 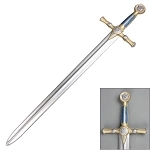 Our foam sword will be a jewel to your LARP or cosplay costume and will bring you glory. 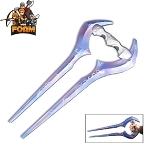 Our foam swords are not famous for their looks and design only, our swords are resistant to shock and cannot be damaged and teared down easily as well. Consider this: your big LARP retreat is this weekend and you are still without your foam swords. You don’t want to let your teammates down and for that matter, you don’t want to get embarrassed in front of your competitors, either. Having your mark in a Live Action Role Play is very important and we all know this. 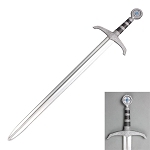 Sure, LARP event is a lot of fun, but for the sake of maximizing the activity, people around the world make sure that their events have a standard set for the best LARP equipment. Our uniquely customized and extremely cheap foam swords can make or break the LARP deal for you and are easy on your wallet as well. Our padded foam swords will be the focal point of your LARP Renaissance costume and will be your separation point from the warriors, and the wimps. Explore our collection to figure out which of them you need! 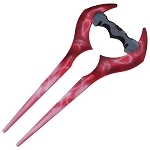 Knives Deal is undoubtedly the best provider of foam swords. Our many customers report a positive experience after buying stuff from us for many reasons, including our same day processing and a commitment to ship everything out within one business day. We believe in quality, affordability, and when it comes to shipping, accountability. 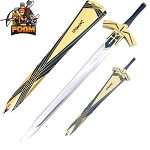 So let’s make your LARP experience better together with our top of the line foam swords. 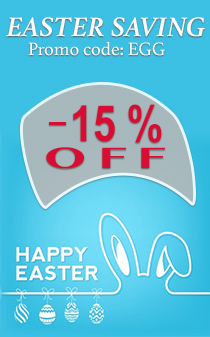 When it comes to our prices, as usual, we never disappoint you! Our prices are affordable, and extremely low compared to our competitors. In addition, there is no match of our shipping pace! 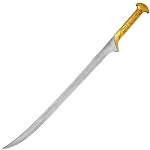 We ensure to deliver your sword at your door within one working day.  Furthemore, we offer free shipping facility if your order exceeds $100. 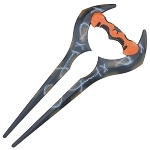 So, buy your favorite foam swords now before you get too late for your next cosplay event!